Distraught Parisians and stunned tourists have gazed in disbelief as a monstrous inferno tore through Notre-Dame Cathedral, one of the world’s best-loved monuments. Others gathered to say prayers and sing hymns In front of the nearby Saint Julien Les Pauvres church, only a few hundred metres away. Flames and smoke rose in the sky behind the singers. Notre Dame survived being ransacked by rioting Huguenots in the 16th century, pillaging during the French Revolution of the 1790s and being left in a state of semi-neglect until Victor Hugo’s 1831 novel The Hunchback of Notre-Dame, which led to renewed interest in the cathedral and a major restoration which began in 1844. The cathedral continued to be used as a place for national mourning in modern-day France. World leaders attended memorial services held there for former presidents Charles de Gaulle and Francois Mitterrand. 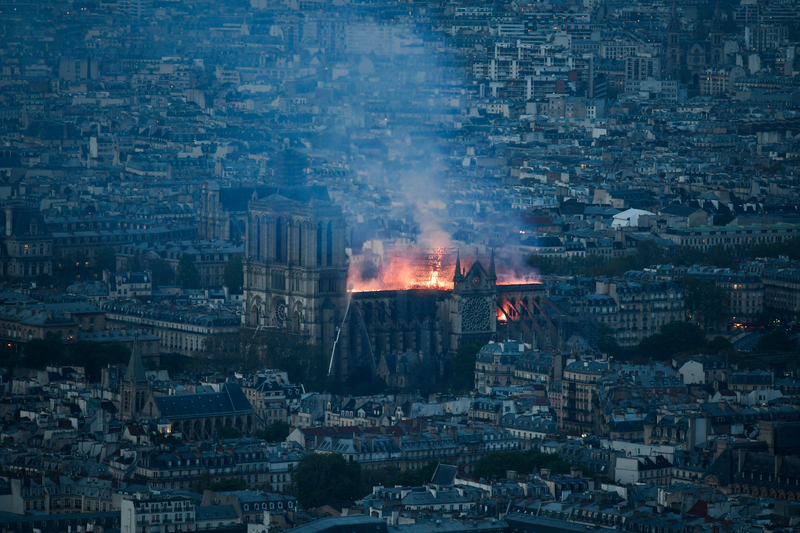 As firefighters raced to save priceless artworks, centuries-old gargoyles and the cathedral’s northern tower, world leaders expressed sorrow and grief in messages to the French people. Australians are likely to be given an opportunity to contribute to rebuilding the cathedral, with both Prime Minister Scott Morrison and Opposition Leader Bill Shorten expressing sadness over the blaze. Morrison recalled visiting Notre-Dame with his wife Jenny nearly 30 years ago. “It’s a pretty special place and to see it in flames today was just really sad,” he told Adelaide’s 5AA radio. Shorten noted the “brooding, gothic cathedral” had been an important landmark in the days before GPS when he visited Paris as a young backpacker, and again during early morning runs on a more recent visit. Both Shorten and Morrison believed Australians would want to contribute in some way.